As written August 20th, 2014. A man stands at the foot of a mountain. Upon looking skyward he scans the jagged terrain and envisions the peak that extends far beyond the clouds. He knows it will take every ounce of physical and mental endurance he has inside of him to make that ascension. He knows the rigorous climb will push the very limits of what he believes is possible, but nevertheless he makes that climb because there is greatness to be found upon reaching the summit. Not from accomplishing what many believed couldn’t be done, but from the personal discovery that comes when perseverance overcomes resistance. 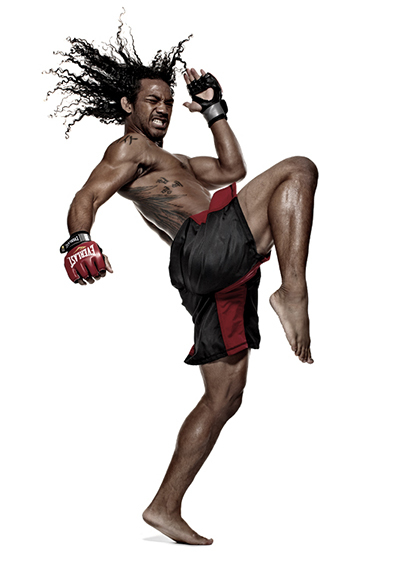 Benson Henderson has been climbing mountains his entire career and there are many more standing on the horizon. After a successful collegiate wrestling career and a lifelong love for martial arts, the proud Korean-American set his sights on testing his skills inside the cages of mixed martial arts. Success came quickly for the Colorado native as he dominated opposition on smaller stages across the sport, and it wasn’t long before he received the call to compete under the WEC banner. While the organization was technically under the Zuffa banner, it was still seen by most to be the little brother to the company’s crown jewel of the UFC. Henderson wasn’t interested in playing second best to any 155-pound fighter in the sport, and immediately set out to prove himself in the increasingly competitive ranks of the lightweight fold. “Smooth” would make his official WEC debut in January of 2009 and made an instant impact by submitting veteran Anthony Njokuani in the second round of their tilt at WEC 38. The victory marked a triumphant arrival for The MMA Lab leader, and three fights later when he tapped out champion Jamie Varner, a new lightweight king was crowned. The quest to claim the WEC 155-pound title was goal that had burned in Henderson’s mind, and where most rest easy on their accomplishments, that simply isn’t the way Henderson is wired. He knew there would be greater trials, bigger mountains and harsher terrain to traverse; therefore he pushed himself harder to prepare for the journey ahead. There would be setbacks. The lightweight king would stumble, but Henderson’s determination used those obstacles to fuel the fires for the battle ahead. The Glendale representative came storming through the UFC gates in 2011 and ignited an impressive run that left a path of a notable victims in his wake. Henderson found victory in his first three showings and that earned him a shot at the UFC title held by Frankie Edgar. The two men would collide at UFC 144 in Saitama, Japan, and after a hard-fought battle with the scrappy New Jersey native, Henderson solidified his place as the best 155-pound fighter in the planet. The King had returned, conquered new lands, and Henderson was determined to defend his crown against all comers at all costs. After turning back “The Answer” once more in their immediate rematch, the proud champion successfully defended on two more occasions as he defeated Nate Diaz and his Team Cesar Gracie counterpart Gilbert Melendez respectively. Henderson steamrolled The Ultimate Fighter season five winner with a brilliant performance at UFC on Fox 5 in Seattle, then stood toe-to-toe with the last man to hold the Strikeforce lightweight strap as he and Melendez scrapped it out for 25 minutes at UFC on Fox 7 in San Jose. The bout was a true “champion vs. champion” tilt, as “El Nino” had ruled the Strikeforce lightweight ranks for three years, but Henderson earned the nod on the judges’ cards to once again prove his place as the undisputed champion of the lightweight division. While the victory over the Skrap Pack leader was his third consecutive defense and put Henderson alongside MMA legend B.J. Penn as one of the greatest lightweight champions of all time, another challenge was lurking around the corner. After his scheduled opponent No. 1 contender T.J. Grant was forced out of their title bout at UFC 164, the UFC tapped Henderson’s rival Anthony Pettis to face the champion on Aug. 31 in Milwaukee. Three years had passed since Henderson and Pettis collided in what came to be 2010’s “Fight of the Year,” and there was a hovering sense of redemption going into the fight. In the 18 fights Henderson had logged since 2007, the lone setback on that run came at the hands of the Duke Roufus-trained fighter and Henderson was determined to settle the score in “Showtime’s” hometown. Yet, mixed martial arts is an unpredictable game, and once again Henderson met adversity inside the cage. Suddenly, the title he coveted, the revenge he sought, all faded into the Milwaukee night and Henderson was once again forced to take a hard look within. When setbacks occur and the hard-fought progress is lost in a backslide, a fighter has a difficult decision to make. They can either chalk up previous accomplishments as glory once obtained, relegate those moments to memory and pack it in, or they can dig in their heels, reach deeper to find the motivation to get back to the climb. And that is precisely what Henderson has done. Since losing the lightweight title Henderson has been on a mission to regain his place atop the mountain. While the championship belt is what fight fans associate with the best fighter in the division, 12 pounds of gold isn’t what burns in Henderson’s mind as he grinds out tireless sessions inside the gym. He is determined to reclaim his status as the best lightweight fighter in the world—take his place as one of the greatest fighters of all time—and every step since that night in Milwaukee has been about bringing that goal back to reality. That passion was obvious as he edged out perennially top-ranked fighter Josh Thomson at UFC on Fox 11 back in January, and that fire amplified in his fourth round submission finish over gritty Dagestani Rustam Khabilov at Fight Night 42 back in June. With the lightweight title on hiatus for the time being, Henderson has decided to put the most talent-rich division under the UFC banner on his back as he’s continued to trudge forward, taking on all comers and continuing his pursuit of greatness. That next challenge will come this weekend when he faces surging contender Rafael dos Anjos in the main event at Fight Night 49 in Tulsa, Oklahoma. “RDA” is another game opponent for a fighter who has spent his entire career testing his skills and breaking the wills of the best fighters the world has to offer. While a victory over Dos Anjos won’t put Henderson back at the top of the mountain, it will be one step closer to that place beyond the clouds where only the greatest fighters every reach.